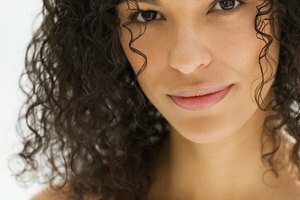 Having natural curls is a gift, but it can be difficult to maintain. Using the S-Curl Activator is a handy hairstyling tool to use to keep the curls soft and healthy. The main purpose of the S-Curl Activator is to relax the curls so that they do not look wound up tight as a wad, and become very hard to style and manage. It is important that the S-Curl Activator Moisturizer is used after the hair is allowed to dry. It can be used daily, provided the hair does not start to get heavy. If it does, take a break from the product. If there is the existing problem of dandruff, avoid putting on too much, and do not use hair conditioner after shampoo. This will serve as the leave-in conditioner. It is possible to get better curl definition if the hair is sprayed with the S-Curl Activator at night. 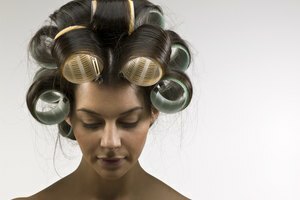 Before sleeping, wear a hair cover or cloth shower cap to keep the moisture in. Use more of the product if the curls tend to get frizzy. On the other hand, if the hair is already soft and glossy, it is possible to use it for creating texture, by using the product two to three times a week. This way heavy build-up can be avoided. It is important to monitor the health of the hair, and use a gentle shampoo. When the S-Curl Activator is applied, the right hair tool to use is the wide-toothed comb, even for dry hair. The hair fork is also a great way to separate the curls and create the desired hairstyle. It is important to get a good haircut, because not even the S-Curl Activator can create magic if the cut is bad. Invest in a good stylist who specializes in curly hair. Insist that the stylist stay as true as possible to the natural curl of the hair, instead of trying to force a style that will disappear after one shampoo, or require a massive amount of maintenance and mirror-time everyday. S-Curl Activator will not work with people who want curls but have straight hair. For this to happen, there have to be the existing curls, natural or induced through use of hair products and chemicals. On the other hand, using chemicals is not advisable and can damage hair for good.